Age-Defy helps restore a youthful glow and combats the signs of aging with treatments that beautify the skin and body while promoting wellness. As the body slows collagen and elastin production, skin sags, wrinkles and becomes more fragile. This program stimulates skin cell function to help smooth and tone the skin and restore a healthy, young-skin glow. Also as we age, our bodies begin to suffer from weakened muscles, joint pain, weight gain and swelling.  Foggiare’s wellness program includes treatments to increase muscle strength, relieve pain and swelling, and help keep our bodies slim and fit. Electrosculpt treatments combine infrared light therapy and muscle stimulation to comfortably deliver energy below the skin's surface while improving muscle tone. Muscle stimulation delivers a work-out to your muscles to increase their strength and encourage a boost in metabolism, helping to combat weight gain. And the warming infrared light penetrates deep into the skin tissue, working to stimulate skin cell function for smoother, younger-looking skin. FDA CLEARED. The most relaxing way to improve skin texture and tone, our infrared steam submersion is a therapeutic treatment with multiple benefits. The warming thermal effect of infrared penetrates deep into the skin tissue working with steam to transform skin on the face and body. Pores are opened, nourished with essential oils, and deep-cleansed while the skin tissue is purified and re-oxygenated with increased vascularization. Presso-therapy is known to mobilize fluids and stimulate local blood flow. As we age, our lymphatic system gets backed up and metabolic waste is stored in our tissues. Helping to get these fluids out of your system has numerous beauty and wellness benefits. Full-body treatments help to reduce swelling or edema, soothe neuromuscular tension, and promote an overall sense of wellness.